Does your martial arts school currently have a system in place to track student attendance? Are you able to catch students in a proactive manner, before they drop-out of classes? Join Amerikick COO, Mark Russo, to learn how to catch students BEFORE they drop out. Learn how to engage proactively with students to improve retention and keep growing your numbers. Sophia: Hi everyone! We're going to get started now. My name is Sophia and I'm your webinar host for today. Very quickly before we begin, we're going to do a sound check. If you can hear me, can you please type 'yes' into the questions or comments box? Awesome, I see lots of yes's there, so let's carry on. Happy Thursday, everyone! We have a fantastic presentation coming up for you. We're so excited to have you all here for the 'Tracking Class Attendance to Improve Retention' webinar with Mark Russo. He's the Chief Operating Officer at Amerikick Martial Arts. 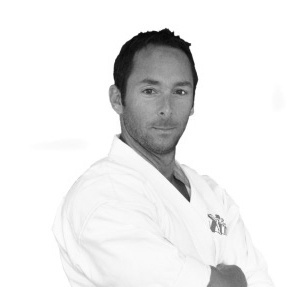 Mark is a 7th degree black belt with 30 years of training and teaching experience. Mark has also owned and operated martial arts school for almost 25 years. After having listened to one of Mark's previous webinars, I've learned that he provides his audience with a lot of opportunity to learn from his experiences and his success, so we're so happy to have him with us today. For those of you who are new to us, please feel free to follow us on social media. On Facebook we have Facebook.com/ChampionsWayFans, and on Twitter @ChampionsWay. If you like this webinar you can find a bunch more on our website too - it's ChampionsWay.com/academy. There will be time for questions after Mark finishes his presentation, but feel free to send questions in the comment box during the presentation as well. I also want to let you know that the recording of the webinar will also be sent out tomorrow to everyone who is registered. If we don't have time to go to get to all of your questions today, feel free to email us at marketing@ChampionsWay.com, and we'll respond to you as soon as we can. So without further ado I'd like to introduce Mark Russo to the stage. Mark: Okay thank you! Thank you, everyone. Thank you that's a pretty brief introduction. I want to first welcome everybody and if everybody could just quickly reply or respond if they can hear me clearly, that would be great, so we can make any adjustments. I want to thank everybody for attending, I know you're all super busy running schools, and to be able just / some time out of your day to attend webinars, I understand that you're all busy but hopefully we'll be able to get some great ideas out of this, and I always like to tell my staff, my team that one or two ideas that you can get is great. So without any further ado I'm going to start and jump right into it. My introduction was awesome so I don't really have to cover that. But we probably have in our audience maybe brand new school owners, / doing it for a very long time like myself, maybe we have some /, we're going to have a nice variety here listening for the webinar. So we're going to do our best to cover our material for everybody and I do have a lot of materials that we try to / the pace and then we can do Questions and Answers afterward. Because we're talking about retention, I think it's really important to first talk about the reasons why students quit, what causes them to quit, and some of the things that you can do to help overcome that. Not only the number one or biggest reason will be we are lack of interest, boredom if you will, not progressing, classes are not exciting maybe, doing the same things over and over again. This can really be on several levels. It could be in the school levels, in instructor level, it could be the student himself as well, so there's something that we can do. We need to really be masters of disguising repetition. Ourselves / owner or the instructors, that's important because over the years of training, there's so many different ways that you / front kick. And as students progress through different classes, we want to be able to train them / and keep the excitement but disguising repetitions. That's very important. / So on your staff training you need to make sure that you're addressing that. Lesson plans - they must be amazing and they must be top priority. That's what separates successful schools and not so successful schools that knows we're losing students, and that's a huge part of it. I know a lot of school owners, they spend so much / on other areas of business --which is great, don't get me wrong-- but you should be spending a lot of time on your lesson plans - on what we're teaching on our curriculum, that's very important, that'll help. Instructors must be personable and caring. What I mean by this is they need to create bonds and relationships with their students that they're teaching. You may want to be friendly with your students and motivating them, but that's very important from an instructor point, that really helps a lot. And then of course a student must progress at a regular rate. This will overcome a lot of boredom, lack of interest. What I mean by that is they need to be progressing and earning stripes, new belts, and testing on time all the time. That's the phrase that we / to use / our staff. I know schools and students that they go 2, 3, 4 months before they see any progression at all. No matter what the style that you teach, there should some kind of reasonable method of every month they're earning some kind of this physical progression, / something. And then they work towards that new color belt. What separates martial arts / is our belt ranking and system and learning the new curriculum to have at your level, learning that something new, that's so important for the goals. Okay next item is time. This is big too because we are fighting for a lot of people's time. Children do more activities today than ever before. I have two little ones so I know it. We're competing against sports, friends, other activities just like the demo. We need to make sure that we are consistently selling our benefits of martial arts, training at our school, why it's so important. "It's not just kicking and punching" -here's just some quotes I put here. Martial arts is more about lessons for life, it's about teaching life skills, you know the power to confidence and focus. I know we all know this but it's not just knowing it, it's being able to communicate it and reaffirm it all the time - in classes, outside of classes, and to the parents. There is no other sport or activity that teaches health and fitness like we do, or focus on confidence. And of course there's no other sport or activity that family can all be together. So give some nice examples / instructors and staff. We have to set goals for our students and we have to help achieve them. That's all our instructors are supposed to do. Preventing students from getting out of their routine is really important. What happens this time is when they even miss / too much time in classes, they get out of that routine of coming, they forget, they lose confidence, and you need to do everything to help - extra Help classes, private lessons, whatever it takes - WIT, that's very important to do, to help /. Class schedule, next item. Class schedule can make or break a Karate school, it really can. The schedule that you have at your school must have a variety. It must be attainable for families and children. Majority of us, you know our student populations are families and children, so we need to be able to accommodate their tight schedules nowadays. We are talking about assigning classes that are varied in times early and later. I like to say 6 o'clock PM is that median time range for schedule. So for the parents who both work till 5 o'clock, they're not going to be able to attend early classes. And then vice versa the same thing is true for students or parents who may be able to have / earlier, and they / at night or a little later, or they have a lot of children. So if you want to be able to do with your class schedules, look at it, make sure that you're offering early time and later time for your classes. For example, your kids beginner classes, you should try and offer one or two classes way better before 6 o'clock, maybe 5:00 or 5:15 / earlier times. Like a criss-cross effect throughout your class schedule. If you can do this for the majority of your classes, especially your core curriculum classes, you're going to see a huge rise of retention. It's very important. You should also update your class schedule seasonally or 3 - 4 times a year. Because what's going to happen as your school grows and / more students attain higher belt levels, you're going to have to adjust for high and low programs. Maybe your summer was very slow / a lot of enrolments here, kids beginner classes or maybe your younger children classes are going to be able to / later. So you make adjustments accordingly. It's very important that you do that. Your schedule should also allow your students to upgrade their membership and so they can attend multi classes, sometimes in one day. For example, if you remember the higher program we call a Black Belt / program, they can actually come to that class and / curriculum class and maybe a sparring class. So / for student get three classes in and that's huge. So instead of coming three different days, they can come three classes in one day, and they can make all their requirements then, and that really helps out. Next slide is medical or injury. This is important for students / because you really want to promote safety first. One little injury can cause your student to quit. Sparring classes. If you're teaching any kind of / or extreme martial arts or / class, you have to be really careful, and especially your staff. If you don't know it, don't teach it, that's what we like to do when I train. I put Sensei YouTube together. You know there's so many who are out there trying to learn techniques of martial arts on it, over video. And really if you don't know the / intricacies of it, make sure your staff know they're not teaching it to prevent injuries. Recognize your students’ limitations - that's very important, that we do an appropriate drills. A flying side kick in the kids beginner's classes probably not appropriate. Use the appropriate lessons for different classes for your children or kids or adults, your beginner levels. Make sure that's in your lessons plans, that your instructors are following. Overtraining can also cause student injury, and if that happens they put their life on hold. They could begin to limit themselves to the number of classes they could attend, that's very important if you watch out for that. Next item can be financial issues, and this is important to watch out for to because sometimes it may be financial, sometimes it may be another reason, so you really have to kind of dive into when you're talking to the students, what the reason is for it, and not just asking a series of questions. No, maybe it is boredom, maybe it is a lack of something else, maybe it is the parents' schedule change. But you can find out the real reason sometimes. If it is financial, work around the financial issue. I keep telling how many times I've found a student they were laid off, they can't afford it right away, and I'll give them a break I'll say, "You know we love having you as a student, we'll work with you, just keep coming to class, and your son or daughter is doing great, and there's really a lot of benefits, we see them making great /." And allow them to come in. Whatever they can make / work so they get on their team. For a quick story, I've had this happen last year. I had this family of four. The older daughter was a black belt, a junior black belt, three younger siblings taking it. Her mom was laid off. She came to me and said, "I can't afford / the three." And I said, "Don't worry, do what you can." And they continue to come to classes. Six months later she came back to me. She had new employment and she paid out their / in full, all three of the younger ones, that was huge. So that can happen, give a discount or a break for tuition. Maybe it's beyond your control but you can try and work with it. Make sure your staff is expert to communicating all the important benefits of martial arts training. I'm going to talk about that a little bit in /. And of course the bad experience - maybe they were hit in sparring class, maybe they weren't testing well, they're embarrassed because they could not / some of their curriculum requirements. You and your staff must be experts in reading body language and this is very important. Talk about this in /. Before class, after class, if you notice that a student had a /, or maybe they threw their gear on the ground after sparring class, you know you can pick up all these little body languages, and you can help rectify this situation by being proactive by addressing it right away. The quicker you can do that, the better chance you have of saving students of them and then return / coming back. Don't let them leave your school with a bad experience as much as you possibly can, to avoid that. And of course your weekly staff meetings that we're having, it's a must that we're talking about these things with our students. What happens, what are we doing, action points, very important / your staff meetings. Okay let's talk a little about automation that you can utilize with PerfectMind. PerfectMind's ratings system catches students before they quit. This is really important to know because it has rankings for A, B, C levels students. And what is that exactly, for those of us who don't know, real quick - an A level student, we like to categorize students who are highly motivated. They're coming into your school all the time, they're there, they are very excited, and they are very self-motivated, they're in classes 3 - 4 times a week. Probably 20% in a range of your student body are A level students. Your B level students - they're committed, they're coming to class, they're motivated most of the time, maybe they're missing their class here and there. This is going to be the majority of the students’ body, probably you may have 50%. And then you may have C level students. These are the students who are missing class a lot, they're not very motivated, they're /, and they're the ones that we're really trying to address and to re-motivated, to get them to the B level or A level status. Now the percentage of C level students, they can vary in your school but you really want to try to keep that at a minimal range. / But while PerfectMind's ratings system work is great / initial reports that you can see on the daily and class-by-class basis. You need to know this / miss important / that know all your student is /. And basically know the corresponding, how many classes that they're attending. You can reset this of course in your system, but generally a C level student’s coming maybe three or four classes a month. That's where /. B level students are more / eight classes, while A level students coming to eight to 12 classes. It's very important that not only you know that, you know in larger school / understand this. It's your staff you're delegating and they're teaching your classes. If you have instructor that managing it, this is important that everybody to the staff knows, even your front desk person. Because a lot of times, if you have a front desk person working, they're going to get the first hit by the parent to talk about their student, whether or not they're / and whether they want to take a break. Automated emails are set and they're triggered to the C rated students. You can modify this, you can put your own / as well that you do, or it could be something simple as, "Hi, Mrs. /, so we notice that your son hasn't be in regular class lately. We'd like to make an effort to reach out to you and schedule you for a conference. Or it could be scheduling for a private lesson." Something that you want to create an action on. So these automated emails that we set, they go out to C students, you're addressing what it is and you're trying to / an action point. Mainly you want to get them in, you want to talk to them, you want to call them, or you want to some kind of face to face interaction with them. That's very powerful, especially like I said when you're running larger school, you got a lot of students coming, you /. Or maybe you have a smaller school and you're the only one, you're the one-man show, you're doing everything, this is going to help you. The reports that it generates will help identify these B and C level students and you get to action plans. This is what I just mentioned. Talking to students and parents. I highly recommend a lot of times to do both. You can talk to both of them. / you're talking about the importance of attendance, you're kind of identifying where they're at, and you're sending action plans. Mainly private lessons and then extra help sessions. Of course these are complementary and you're really doing what it takes to kind of get them back on point. Taking attendance from the mat or dedicated workstations like your front desk. This is really important because this is going to be giving so much information about your students. We at our school we have two main training that / two classes at once. And then we have third area too or the smaller area. So we have a lot of / activity coming in / school. We use both systems. We have laptops and iPads in all the classroom for our instructors checking students in when they come in to class as well. And then addition to some of our gold students, our kickboxing students. All the responsible children to make themselves as well. But what this is important, this is allows you the information to take the action right away. Again it's not waiting to 3 - 4 days or to next staff meeting, it's right away. And you see this on the check ins. You can email students, you can text them, contact them right away for those who did not attend your class, you know why you're doing your check ins. You can see the students, the ratings right there and you can address that. We have a saying at our school, in our classes - any C level students are in class, we need to make contact with them, we need to make them feel important, we need to / them somehow, recognize them, whether / leader, maybe it's running a special star / in the belt, and that student that we need to be talking with, you send them action plans. That's what we do it right there. So this allows you to do that. Which student needs attention, the instructors need to know that /. You can see the rank readiness right in these reports as well. Get the students miss the stripe or they miss the test overdue. That's important because knowing that you can talk about goals and part of your students retention, they need to see that progression all the time. And maybe they miss some classes, maybe just basically they're not ready for their promotion because / to know more, but you can see where they're at, and you can make it around, so just maybe take two minutes after class / staff and work with them. You need to get them ready. As the owner or the head instructor really, you would know what your students have been doing in which classes. Which classes they're attending, and that's just powerful information / to have it on your fingertips. Check in stations are great because they allow just for greater ease of attendance tracking. Back in the day, you know we did the attendance cards, we did the checklists, we have kind of a checklist. This technology now is so much easier and / on, and it just saves you so much time. Again, it just goes back to knowing having that information right on your fingertips. It gives you alerts which is great so we use that. So the students check in and you know it's their birthday, we're making a point that the sensei on the floor knows and then we're doing something special - coming up to the front of class, we mention it's their birthday, maybe they're leading a drone class, we're doing something for them, we give them a shout out, make them gift certificate to the pro shop, something that makes you feel special. Especially like I said we have students in and out, they may feel they're not just part of our students, it's very important. Renew notifications - that's huge too. When they're checking in, you'll get them right away, and you'll see when you have larger classes or multiple classes going on this is important. It / to upgrade and the memberships. Okay, do you know your numbers? This is very important for retention. Why this is important is because you need to know, and the reason why I mention is, even on our own owners meetings that we have on our /, I'm surprised sometimes by people who don't know when I say / students this month, how many students is your net? - Oh I'm not sure. That is something you should know, it's /. Very important that you know how many students you enrol, how many students have cancelled, they quit, and what's your net numbers of the students. This is very important to know because you're going to set action plans for this, and you're going to see your retention list, and you need to know at what level - is it beginners, is it advanced levels, then you're going to take the action with the instructor. If you're losing a lot of advanced level students, there's something about advanced class, there's something with the curriculum, maybe the instructors aren't / lesson plan, so that's very important that you get the /. This is nice here. This is a nice display to show you where your retention is at your school. It's a pyramid versus reverse pyramid and then a square. On the left side, you see that's the color belts, that we see white all the way to beginner level into beginning of advanced level. What you can look at your school, if you have this pyramid where you have a lot of white / beginners levels, then you start to lessen as the belt /. You have a few browns or red belts, or maybe even black belts. It's showing you that you're very strong in the beginning in your beginner level, maybe great sales and enrolments, but something's going on in your retention. Your classes are not exciting, not motivating, not /, but something's going on, you need to identify that. Now the reverse of that as well too where we have school that have a small number of beginners / but as they get up to higher belts they have bigger group, that's great, that means you have strong retention. But ideally what you want to have is the third shape. You want to have pretty even numbers from beginner level all the way to black belt. You can have that, you're going to have strong retention with strong business. That means you're operating /. So the next time you're looking at your attendance /, you / account. By the way I / my school every Monday. It's very important that I know what I'm at. But even if you do on the minimum, once or twice a month, you should. / your students / where you're at. It doesn't take long, takes some 15 minutes to do it. I want to see where my large / students are, where maybe I have less students, maybe / that level, then I'm trying to address that situation / solutions. So ask yourself what shape is your school, where can you identify these challenges and / it. Some other points where high level retention. You must have superstar classes. I mentioned this earlier. Classes - they should be high energy, motivating, and exciting. And maybe you can do that, but maybe your instructors or maybe / a little short of that. You need to fix that. Your classes must be consistent and they follow the similar lesson plans - it's so important. Teaching the curriculums, teaching what the students need to promote to the next level. And sometimes this is a hole in the bucket, you'd be surprised especially if you're not teaching all the classes or you delegate it, so we have few instructors / working. Remember you're only as strong as your weakest instructor / chain. So you have to make sure that you're on top of your staff training. Your classes must be professional. Have it start and end on time. Oh my gosh how many times I see that. I mean starting three or four minutes late and then ending three or four minutes late, which just throws the whole cycle off. And it just denotes unprofessional. You know parents they need to move from one to the next, / on time, so very important. Your instructors, they must be professional. They must be caring and skilled, and they have a personality. That's going to help huge with your retention. Students must leave every class with a positive experience. They must be excited, they must be educated, learn something new, to get that feeling. That's not happening then there's another hole in your bucket. You must include life skills or some kind of character development program into your school. If you're not, work, if it's not consistent. I know schools to do this but it's not as consistent. This is very important, it's done all the time every time. / of the week, a huddle discussion, a quarter of the week, a message - whatever it is, you're talking about how important the training is /. And not just being / martial arts is kicking and punching like I mentioned earlier. But it's more about being a great /. You know that / great manners, using and giving thanks especially in the younger classes. These are huge. These are what the majority of parents are sending their children to your school anyway before. I was in the kicking punching / but more importantly you make them confidence and discipline. And you have to make sure that it's happening all the time. And then of course in your super star classes - no down time, no sitting, no lonely action. It should be you know, but exceptionable for showing or demonstrating some techniques that we have to. It's a quick 30 seconds of demonstrating, spin / whatever. / we're moving, we're going. Students could not be sitting. / we have 45-minute class. We're doing warm ups and then you're breaking up your lesson plans. It's pretty going most of the time, exception for huddle discussions, a few points of what you're doing. Next item - you must have amazing test and graduations. Like I mentioned earlier, test week at your school really needs to be once a month or every 4 - 5 weeks. We work on / our schools. In every five weeks what we call Test Week, the entire school is being progress checked. Notice that I say progress check, not testing for your belt. That'll be progress check in class, every class, / reviewing and / on point with your class schedule and then attendance /. During that week those who are eligible for / color belt, we're going to pre-test them in class. We're going to award stripes. Then those who are going to get / the new color belt, they're going to get promoted, that'll happen on the graduation which is the weekend. Usually it's Friday night or Saturday morning or afternoon it seems to work best. And that is where the people who are going to he new color belt are coming in, and you're making it as / black belt spectacular. It's an awesome show. Your demonstration team are going to be performing, you're going to have /. You're only highlighting the curriculum, and the students are not doing every single thing they need to know. It's a highlight show, fully / maybe now promotes. And you're demonstrating, you're showing your beginner levels always through your black belts, that's really important. You want to demonstrate, so parents can see the progression what it is at the white black, what it should look like in higher belts. They're showing your products. Belt graduations are the single most important retention event at your school. Every month that you showcase your product /. It's very important that you offer this and they're done the right way. Not boring but exciting. One third of your student body, they should graduate to a new color belt, a new belt level every month. That's very important to know that it's happening to student. All students, like I mentioned before, they should earn or promote to some stripe or some patch, it's something that you're offering / school. We used to stripe / belts, so they see that progression, and they need that recognition. During the test and the graduation, / word of graduation, we highlight students who accomplish something they achieved, they've improved, student of the month. Outstanding attendance very important if you're doing that at your graduations. So we're looking at attendance and those students who maintain solid attendance at the school, we'll give them special patch or certificate, and a stripe on their belt, they haven't / any attendance. And at the belt graduation I'm making a quick speech to everybody about how important class attendance is. And then of course your student / awards. Our students get a lot of awards at the belt graduation and that's important. The test lists for your test, it should be done in and created in months' advance. You should already know. And again it's a good fact that PerfectMind system allows you to do that so you'll know in advance months who should be up and of course / graduated. And you're reviewing those test lists at your staff meetings and it's important, and then post them. Post the test lists somewhere near parent area or somewhere that enables them to know. I give their hands to those people who post the test lists / Facebook page so students will see it, parents can check the list / so they know "Oh my son's up for testing next month. We're going to make sure he get it right." It plans the seed, it creates a goal, and it's very powerful. They know that they have to prepare for the test, that they're on the test list. They're going to really double their effort / high retention. Never fail a student in public, only in private. So we're awarding them at the class, we're going to make sure that student's not embarrassed. That's a nice teaching tip so make sure your instructors are doing that. Students should earn a stripe every month, I mentioned that. Offer make up tests for students who miss testing. So they're sick or they're out that week. At your staff in the next meeting you talk about who didn't make it in these classes. Of course your attendance reports and you set action plans. "Okay, Julia and Elizabeth, they weren't in class that week but they're on the test list, so we got to catch up with them, make sure they're okay." Review and set an action plan for the test. Okay next point. You must have special events at your school and these are done on a monthly basis. Special events are huge because their huge retention tools. They create students friendships, bonds, and relationships with your students. And the more friends that your students make at your school, the greater their retention's going to take. So it's important that you're having these. You can offer one or two free events a month at your school, you can offer one or two paid events at your school, or combination of both, I highly recommend this. And of course, again this goes back with the size of your student body. You maybe 100 active students / have students, obviously they're going to offer a little bit more. Some of these events can include guest instructors, pizza parties, end of school year parties, holiday celebrations, special training classes, you know the sky is the limit. You can really brainstorm. Fun Nights, we do them every month. It's your parent night outs. Keep in mind - you can have different events for your younger children, / for your teens, and then of course /. You can really have different motions of events to hold. Seminars, tournaments, picnics, paintballs, swim parties. / supporters of tournaments. We have / tournaments / organization. You promote to national and then tournament of course / with teams. And the reason why is because healthy competition is good. It creates goals, it creates positive environments for our students to go, work, and just demonstrate their skills. Of course we talk to them about the importance of doing your best, not winning or losing. It's about having fun time, setting goal a learning, something new, or training with others. It's foremost / going out there doing your best on healthy competitions. That's why the big tournaments / competition. Fund raisers and charities, community events - these / all be part of some of the events. Anti-bully classes, women's self-defence, free community events that could bring people. And I don't want to talking about enrolments and of course you're going to bring leads into the school, but this can kind of almost /. It can be special events for your retention but then also you're bringing some revenue too. The most important thing you get out of this is you want to make your school the place to be in your community or in your town. You / to be exciting. For example the following holiday /. On a Halloween walk to your school and / we open it to the public. You know how cool is that that you can have students and little children come in a very safe environment, not to worry about anything / for being in the town or an area that might not be safe, and they're here and they're having a great time. So such events like that /. You must have specialty classes and programs at your school. These classes, they're going to increase skills and motivation, and they're going to be / generators for school as well. Examples, and you may have different names for these - Black Belt Club, Master Club, using weapons and learning variety of them. Sport Karate training, traditional versus contemporaries. Sparring classes for beginner and advanced levels. That's important for teaching sparring at your school. Competition training. Any kind of extreme martial arts, we call that Extreme Evolution training. These classes can be both paid and non-paid, it depends on how you want to go. Maybe / generators. But what it does is it allows your students to get extra training in different areas. So you have your core curriculum, let's say it's Taekwondo and / teaching. They / learn something traditional, different style, different level of competition, and they can and that's there, and that creates excitement /. This important - you have to have Leadership Team, an assistant instructor training program. / name that we use. We follow leadership team but these are the children or students that are a little older and had a couple of events, and teaching them how to be instructor. The leadership team, they create a future for the / advanced students. Let's face it, you've been training for three or four years, you can get / not necessarily / your interest. This is just another way for you to create excitement and get them motivated. A lot of children, and you want to get a little older than 12 - 13 range, you / help that, they want to be a part of this team. So it creates more tension and excitement for them. It also creates value for existing programs. Because parents, they want their children to learn these core values - how to be a role model, how to be a leader. We teach them how to do that and talk about responsibility, taking action, and then we take them under our wing. That's a big thing. So have this at your school and you're going to use these team members for class helpers, for special events at your school, birthday parties, belt graduations. And it's important. The team members, it's going to motivate, and they're also going to be the role models, and they're going to help motivate the others / lower ranking students. They're going to see they're going to be part of it. All of your paid staff should be recruited from leadership team, think about that /. I know since I have done it myself, we've hired instructors from outside of our organization or school. Sometimes it works, sometimes it doesn't. But more importantly, home grown instructors they come up through your system and your classes, right through leadership program into your assistant instructor, full instructor and instructor /, and I've had it happened. It's important, that's a great foundation for /create / success at your school. Hiring from within is much stronger than hiring externally /. Have a weekly or monthly leadership training classes as part of your program. You can charge for them or not charge for them, it's up to you. But either way it's going to help greatly - produce instructors, great retention, and motivation. You must have a Demonstration Team at your school. What is a Demonstration Team, why is it important? Because the demo team that I mentioned / little bit graduation, they're the physical representation of your products. And it's important that people see it. Successful schools have multiple teams. So have a beginner level team. or advanced level team, or black belt team. And you can do that. Have your team perform at your different events open house - your belt graduations, birthday parties, external events, outside picnics, different events, fairs and parades. You do /. The majority of your students, 90% or most of your students, children / who want to be / see they're excited. You can see their performances and wow! You learn that how to be demo team, that's cool! Well guess what, your brown belt, your red belt or whatever you deem as a requirement, you can try out and you can possibly / on that demonstration team. So again Leadership Team, it helps to create goals that / to the team too. / performances talent shows, tournaments, and competitions. So Demo Team is important / excited you have at your school. If you don't have one, start one right away. The black belts must be part of a team. When you have a mature school, 7, 8, 9, 10 years, you're going to graduate black belts. They're going to be black belts in a few years especially with juniors. So they're making black belt at let's say age 10, your goal is keep them all the way to high school, they're going to be with you another seven years. So you have to have few things. You have to have a proactive ranking system, maybe they're learning a new style. We have a whole set of curriculum for them, that's important. And you want to have your junior black belts not get bored after a few years of training, that's why we have different things. Find out what their hot buttons are. Maybe they like to compete, maybe they like to have assistant instructor, you're going to put them on that team, you get them there. Maybe they are a really good fighter, you're going to have more of your advanced level fighting, the contact, have that level. Maybe teach multiple styles / what we do, and they're going to learn that. So it's important that you set goals for your black belts. / your junior black belts / so you want to keep an eye on them. Great schools have great retention on their black belts as well. Not the end of it for them / black belts. And your adult black belts - usually you / them as well. They're either paying students, they're attending classes, they're earning their ranks, they're helping you teach. But I guess some schools they just allow them to come free, which / with your student or helping out with any /. Your staff must implement Retention Acts. These acts are so important. I'm not going to go and break details because I know a lot of these are common. But what I really want to stress is they've been done all the time regularly by our staff. C student lists, follow up calls for students who miss / two or more, sending out Great Job notes, Miss You cards, follow up with contacts, emails, calling students. Some of these are already mentioned - body language. Staff should be able to give one minute praise to students and to the parents. Staff must be able to use student names multiple times in class. Staff must create a private lesson experience in / environment, this is very important / training. We have 20 or 30 kids on the floor, it's important that your staff's able to make that each and every student feel like they're special and they're not just a number /. They must motivate and educate all the time, every student. That's their job, that's their goal. No favourites, every student is equal. And the staff must recognize and reward students in all classes. Okay we're towards the end here. I know I said it was a lot of material. This last thing I want to talk about is super important. Because whether you're the owner, the staff member at your school, the instructor, you want to make sure that everybody can convey the important benefits of martial arts training. What's the philosophy of your school, what is it? Are you fun, family, friendly, are you competition, are you MMA - you know it depends. Whatever that is you have to, when you have that, you have to communicate that out. Leaders in our communities as well. We talked about developing, building tomorrow's leaders today, we’re fun, family, friendly. So this is important. And you want to have your staff to be able to communicate that as well. You want to be able to communicate that martial arts is the solution to everything and that everyone can benefit from it. Everyone, doesn't matter age or skill level. And your staff, they have to be able to educate the students and their parents on the importance of this training, goal setting, and stick into it. Using those power words all the time, like Confidence, Respect, in the classes, Courtesy - that's huge. That's just /. Constant promotion on all the benefits of training, and physical and mental or spiritual benefits. And this has to be included in all your classes, your announcements, all your special events. And this is again, guys, this is what separates us from everything that's out there. That's why martial arts training, in my opinion, is the ultimate. It / any other activity or sport you can get, because it's mind and body, and I'm a huge believer. Obviously / on this. Okay that's it. I want to thank ChampionsWay, PerfectMind, for giving me the opportunity, Master Farid. And some of my mentors / my instructors - Dennis Tosten, Bob Leiker, Sharon Tosten. And of course my friends and family, my partners. And everybody, all of you attended, I hope everybody had a great experience and you come up with a few ideas. If you have any questions, we're going to do a few of those now I believe, and then you can contact me, here's my contact, you can reach me directly. And of course to / at PerfectMind. Thank you, everyone! Sophia: Hi Mark! This is Sophia again, I'm back. Thank you so much you covered so much ground and you provided a lot of helpful and valuable base for everybody that I'm sure they can put to the test. We have one question and one comment that came in during your presentation. So I'll start with the first one from / Torres. She asked how do you handle a parent that does not want their child to test? I have dealth with it before but sometimes they do not even come to us and decide on their own. How would you approach the situation and how you deal with the parents that come to you and say 'My child just isn't ready yet to test'? Mark: Well if that happens, it's an important discussion with the parent with this. I think we have to sit down with the parent which / are done with the children, the child or student, and you're kind of reviewing, talking about the importance of how it works, why is it important that we're progressing. If something in particular that they feel that they're not ready because maybe it's their attitude, maybe they're not listening at home, maybe they just physically don't have the requirements, whatever it is I'm trying to try and find out what it is, and then we address the situation. And probably I will work with the parent and come with a mutual agreement or solution that if they really feel adamant that their son or daughter, they don't want them to test, we'll work around that. And I'm not going to let it go off too long, and I'm going to explain to them why it's important. Especially if it's a younger child, that they see the progression / step them up the way the curriculum is designed. That they're not going to learn anything relatively new until they progress in the test to the next level. That's what all martial arts is based. You're not learning the next level kick or / technique or a weapon or routine until you progress at a different level. So I think that is the conversation that you have with them. Parents can be --I get it because I have it too-- they can be tricky but if you / the right way, you /. Sophia: Okay great, thank you. There's another one. It's not so much a question but a comment and maybe you can respond to this as well. It's from William Kuschner - I share a studio with other clubs, so the time for my schedule is limited. That's the comment. Mark: I understand that, that could be a challenge. If you have a limited, that you should share it, if you're at a fitness centre, or maybe at a recs centre and you / school, you're just going to have to work with what you have unfortunately till something happen where you can either maybe there's nobody in the schedule or whatever facility that you're working out of, so you'll be able to grow maybe, and maybe eventually venture your own independent location. Then you can have more flexibility. You just have to work around what you have, I guess maybe the restrictions, maybe the / that you're having, and you're doing your best.